A mouse is an important peripheral for those PC gamers and you probably need to suit the mouse with what kind of game you are playing. There are so many of them but not all are reliable. 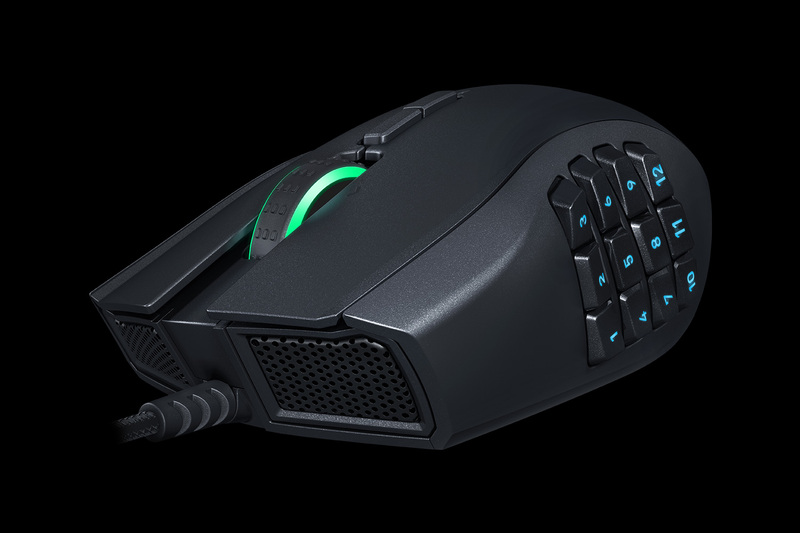 In today Razer Naga Trinity vsRazer Naga Chroma article, we are going to give you information regarding these two similar yet different MMO specialized gaming mice and how they are different from each other. If one or both of them took your interest, go check our article below. We know that gaming mice actually not that different from regular mice and they don’t need to have a tons of extra buttons or an acid trip’s worth of flashing LED lights. However, typically, a gaming mice worth considering for purchase should have at least an advance optical or laser sensor to help you do faster and more precise movements as well as a degree of user customization. Most gaming mice comes with extra buttons to let the user’s thumb access sensitivity and speed adjustment quickly. 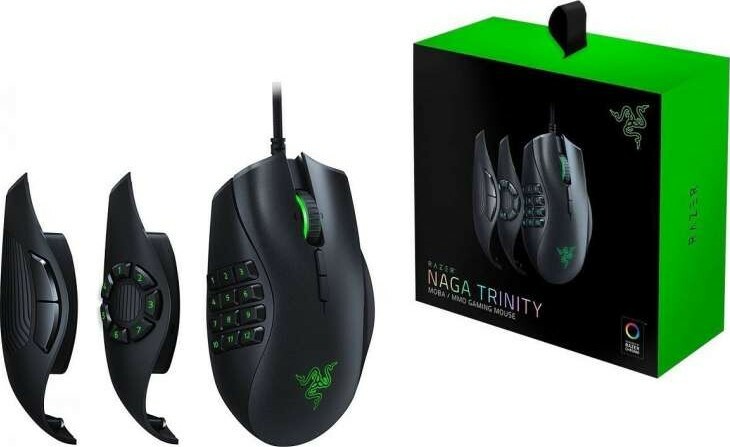 Razer Naga has been MMO players favorite mouse since it was first release years ago and the company actually have launched several items under the name namely the Naga Chroma released around 2015 and now the newest Trinity in 2018. These two are very similar to each other but of course bound by different model, they also separated by few things, you may or may not consider when picking one of them. For starter, these two comes with 12 programmable buttons at most. From the outside, we can see that these 2 comes with the same design like its original model and in a glance it will be difficult to set them apart from each other. However, if you look closely, we can see that these two have a slightly different side panels even though the buttons is still in the same amount. This difference is because the Razer Naga Trinity side panels can be removed and changed with another panels utilizing strong magnet, so not only 12, it also can have 7 and 2 buttons on the side. At the other hand, Chroma only comes with a fixed side panel, which makes it will always have that 12 buttons. Changing side panels in Trinity is very easy and you won’t need extra energy at all to swap between panels. If you prefer, you can even use it without the panel, but we think it won’t be comfortable since the side will be exposed and your thumb will have no place to rest. Beside the panel, these two are exactly in the same in design. 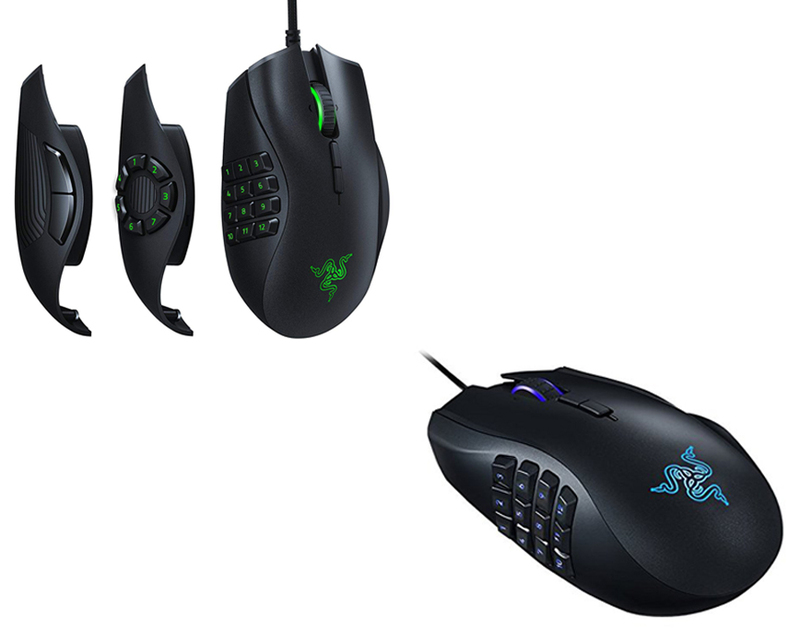 Read also: Razer Naga Chroma vs Logitech G600 here. Going into these mice features, as we said earlier, the highlight point of Trinity is in its swappable panels and beside that ,it is very similar to Naga previous mice. Just for information, beside Chroma, they also made Epic Chroma that only separated because you can choose whether to use it with the cable or to go wireless. Trinity is the same like Chroma since it can only operate with the wire. Even though, comes with RGB lighting, it is not that good like those in high-end mice. As for the sensor, these two comes with Razer 5G sensor but Trinity has the Optical while Chroma has the Laser type. In nature, optical sensor will mostly sense only the top of the surface where it is placed while the other will looks more deeply, so it can sense peaks and valleys in surface, which gives you that jittering motion at slow speed. For non-glossy surfaces, like regular table without glossy finish or mouse pad, optical mouse is better while if you plan on using the mouse on glossy surface, you should pick laser mouse. For the CPI or count-per-inch, these two have the same maximum count at 16000, which means you don’t have to worry about how their performance will affect you gaming experience. As you can expected, you may also adjust the sensitivity depend on your preference through the software. Since these two are released separately at a pretty long gap, the software used for Trinity is the Synapse 3 while when first release, Chroma still used the older software. Just like any other gaming mice, their software are packed with settings to customize your mouse further not just the sensitivity. You may also assign each functions in your mouse according your preference. In Trinity, the software will even able to recognize each panel you attached automatically and you can program the buttons in either list or pictorial form or open a set of Hypershift buttons to completely change the key map that you can activate while holding down a button of your choice. Another standard function in both Trinity and Chroma is still the same. The standard right and left click feel comfortable while the middle scroll wheel can be tilted left or right, which can be useful for navigating a lengthy pages. There is also two small buttons below the scroll wheel that pre-set to change the mouse sensitivity, but always can be reassign with another tasks. Now, let’s compare Razer Naga Trinity with Razer Naga Chroma. As it has been mentioned earlier, their prominent difference is the fact that Trinity comes with 3 swappable panels that give the mouse an ability to change its side set of buttons making it go with 2, 7, and 12 side buttons while Chroma comes with fixed 12 buttons on the side. This ability is good if you think the 12 buttons is too overwhelming. Another difference is the sensor because even though they have the same maximum at 16000 CPI, the one is optical and the other is laser. Optical Trinity is good for any non-glossy surface while the other works well in flat surface even when it has glossy finish. All in all, the decision is all yours to make. In our opinion, both of them are equally good and it is better to choose based on your need. But, if we are to pick, we will recommend you the Razer Naga Trinity because it has swappable side that can be change depend on your need.